Beauty formulas soothing& hydrating moisture mask is blend of moisturising ingredients which includes a combination of 7 natural extracts of which aloe is known for its soothing and hydrating properties while oil penetrates to care for and protect the skin. This combination of moisturising ingredients helps to replenish essential nutrients and protect the skin against dehydration for a healthy complexion. Use regularly as often as required. Thoroughly cleanses the face. 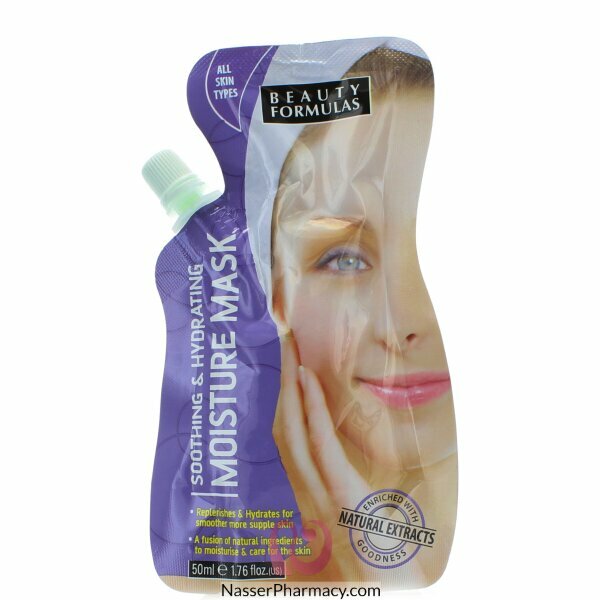 Apply the mask gently& evenly over the face taking care to avoid the lip and eye areas. Leave for 15-20 minutes and then rinse with clean warm water and pat dry.